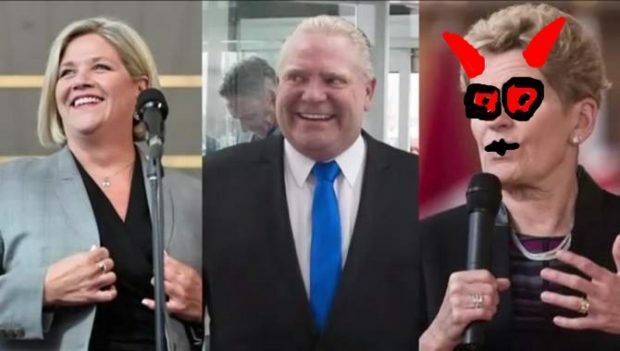 TORONTO — A new poll indicates a dramatic gender divide in how Ontarians plan to vote in the spring election, with the Progressive Conservatives significantly more popular with men than the other two major parties. A phone survey conducted by Ekos Research Associates found just over 50 per cent of men said they would vote for the Tories “if the election was held tomorrow,” or were leaning towards voting for them. That’s compared with roughly 27 per cent of men who said they would support or were leaning towards supporting the governing Liberals, and almost 16 per cent who said they would choose or were leaning towards choosing the New Democrats. Among the women voters polled, around 35 per cent said they would vote for or were leaning towards the Tories, compared with nearly 32 per cent for the Liberals and about 26 per cent for the NDP.